What benefits are there if I join the GRLA? Access to experienced landlords who want to encourage good letting practices in Guernsey and are happy to share their experiences and offer advice and support. We have produced a plain-speaking standard 1 year rolling lease which is the most common form of lease used for rental residential property in Guernsey. This is free for our members to use by logging in to the private, members only, part of the website. We have produced a booklet ‘A Landlords Guide to Residential Lettings and Code of Good Practice’, and can be downloaded from the website, or posted to you on request using our ‘Contact us’ form on the website. This is also available at places like Citizens Advice. Due to publishing costs, the most up-to-date version will be the one on the website. We hold 2 or 3 open meetings a year where landlords can get together and discuss problems or common issues. We usually invite 1 or 2 guest speakers to talk to us about relevant topics. We are sometimes asked to participate in feedback to various public consultations and topical issues, by both States bodies and the media. So the more members we have the greater respect and influence we can have. This benefits all our members. We have produced this website which includes a private members area. There you will see our Constitution and details of Council members, reports and newsletters and useful information, and possible offers from companies that might provide us with services such as buildings insurance and cleaning. Prospective tenants are offered advice and can message us with their rental requirements. How can I join GPRLA? 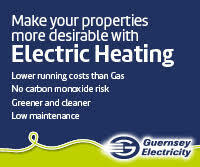 You should be a landlord, agent or other person involved in or with an interest in renting out residential property in Guernsey. You can join from the website. Click on ‘Become a member’. Read the information and take a look at the Guide to Letting booklet by clicking on it if you wish, or take a look later. Scroll down below the information to see details of our membership year and annual subscription fee. You will also see buttons to either click on ‘Pay Now’ to sign up and gain instant access to the private Members area including the standard lease and offers to members, or click on ‘Register Now’ to pay by standing order or cheque. Either way the website will request and store your details. If you only register we will receive an email from the website and will follow a manual procedure to join you, which may take a few days. 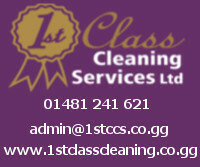 Our postal address is displayed on the website at the bottom of the page. If you Pay Now you will be taken through PayPal payment which does give the option if you don’t have a PayPal account to pay using a card by clicking on ‘check out as a visitor’. Pay Now is our preferred option for you because it is instant and automatic which creates less work for our volunteers, and instant access to the member’s area for you. Does the GPRLA booklet help landlords and tenants alike? Yes the GPRLA booklet can help existing and prospective tenants as well as existing and prospective landlords, States bodies, the media and the public in general. You do not have to be a member of GPRLA to get this benefit, but it gives a clear understanding of our association and what we consider to be good letting practice. A lease is an agreement between two parties, the landlord and the tenant. It is also a contractual document that can be brought before the Court as evidence should either the landlord or the tenant fall in breach of their contract. Both landlord and tenant will have a copy. Both copies are signed by both landlord and tenant and signing is normally witnessed by a third party. The lease should be kept in a safe and secure place as it is an important document. What should be included in a lease? The lease states who the landlord and tenant/s are, where the property is, who can live there and what the deposit and the rent will be. It should also state what rent change will happen in the event that the tenancy continues for longer than a year. Usually a deposit of at least 1 month’s rent would be required at the beginning of the tenancy, and rent would expect to be increased annually by inflation. It details what the tenants’ responsibilities are, such as cleaning including the windows, taking out the bins (and on what days), keeping the communal areas in flats clean and unimpeded and looking after the garden where it is for sole use of a property not divided into flats. It should also state whether there is parking and where, when the rent is due, whether the tenant will maintain electrical and gas appliances and boilers, and that the tenant will insure their contents and the inside of the property for fire and similar risks. It details what the landlord’ responsibilities are, such as maintenance of the outside so will typically provide a property that is wind and water tight, that the property is maintained and has buildings insurance and insurance of the landlord’s contents. For properties which share communal areas, e.g. flats, the gardens are maintained by the landlord. This is by no means a definitive list, reference to your responsibilities should be determined by reading the actual lease. How long is a typical residential lease? 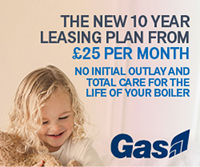 In Guernsey residential leases are usually for 1 year. The length of time should be stated clearly in the lease. At the end of the year some landlords require a new lease to be signed to allow continued occupation of the property, typically for another year. Other landlords use rolling leases that can be extended without the need for a new lease, and these state a notice period, typically 2 months. What is a rolling lease? A rolling lease is one that may be extended indefinitely or for a further specified term. Leases extended indefinitely will state the length of notice to be given by either landlord or tenant if they decide they want the arrangement to end. The GPRLA standard lease used by many of our members is a 1 year rolling lease. What type of lease is the GPRLA lease? The GPRLA lease available to and used by many of our members is a 1 year rolling residential lease. This lease can cater for one, several or even many years of occupancy during a single tenancy. It is a plain speaking lease, avoiding legal jargon where possible, so it is easily understood by landlords and tenants. After the initial year the lease rolls on indefinitely, to be terminated at the end of a set notice period initiated by either tenant or landlord. How does a lease end? On a fixed term lease the lease will end on the fixed date stated. On a rolling lease the term will end by the giving of notice by either landlord or tenant within the notice period stated in the lease. At the end of the lease the property’s use reverts to the landlord and the tenant usually has to leave the property with their possessions. Once the lease has been terminated, the property will usually have to be left in the condition it was in at the start of the lease prior to the tenant having moved in. If both the landlord and the tenant are happy with the arrangement then there is every likelihood that the lease can be renewed and extended for a further similar term. The arrangement can continue on a rolling basis on the same conditions without the need for a whole new document. A landlord will usually draw up a lease extension document. Equally, the landlord may issue a new lease or simply continue with the original one. Within that it is normal for the landlord to make regular inspections of the property and the tenant must allow access for this, for workmen to make any repairs that are the landlord’s responsibility that might be needed, and for the landlords to show the property to prospective new tenants when the tenancy is in its notice period. The lease should make mention of this. A deposit is paid on signing of the lease and is often 1 month’s rent, although it can be more. If (and only if) the tenant has fulfilled all the terms of the lease, the deposit is returned to him in full. The lease should state the timeframe within which the landlord has to return the deposit (or balance of deposit, see below) at the end of the tenancy. Typically this might be 2 weeks or a month. The deposit is taken and held by the landlord to protect him and his property if problems arise with the tenancy, or if he has to make repairs, pay for cleaning, repairs or other unexpected costs at the end of a tenancy caused by the tenant. This does not include normal wear and tear, which would be the responsibility of the landlord. If a landlord finds he has such bills to pay he should produce a list of the problems and what they have cost him, with receipts where applicable, and present it to the leaving tenant along with the balance of the deposit. If his costs have been more than the deposit then he can bill the tenant for the outstanding amount. A good quality inventory at the start of the tenancy along with a tenant taking care of the landlord’s property and returning it to him in the same condition should result in the return of the deposit in full. Disputes between landlord and tenant? – At the end of a tenancy landlord and tenant have different perceptions of what part of the deposit should be returned to the tenant. Usually the best way to resolve any dispute is to talk to each other and listen to each other. Aim to reach a compromise. If a dispute is allowed to escalate it can cause very bad feeling, and cost both sides a lot of money in advocates’ fees. If a compromise has not been reached there are several approaches that could be taken. – Use the petty debts court to recover money where is it owing. – Go to arbitration. This involves using an arbitrator and can be extremely costly. – GPRLA can provide (through individual experienced landlords who are members of GPRLA’s voluntary Council, rather than as an association) a free, confidential, impartial, unbiased mediation service, with the aim of landlord and tenant reaching agreement. Your choices of approach can be limited by the wording in the lease, so read it carefully. Usually the best way to come to a solution is to reach agreement between yourselves if that is possible. This means an independent unbiased person sitting in the middle between 2 sides of a dispute, to help them reach agreement. This is what we provide with our mediation service in landlords/tenant disputes. Where can I find private rental accommodation? Try a reputable estate agent or letting agent, the Guernsey Press, Guernsey Homefinder, Facebook Guernsey Properties area, or by going to ‘Contact us’ on the GPRLA website and telling us your requirements which will be forwarded to our members. How does GPRLA deal with Data Protection? How should Landlords deal with Data Protection? How does Population Management work for rental homes in Guernsey? Landlords are required to ensure that housing their tenants complies with the local law which is currently (July 2018) the Population Management (Guernsey) Law 2016, and any modification/re-enactment. This law supercedes the previous law which was the Housing (Control of Occupation) (Guernsey) Law 1994. Do I Really Need A Lease? Yes, absolutely. A lease should be arranged for ALL accommodation owned or operated by a landlord regardless of size, purpose or type of property. A lease will contain important obligations on the part of both the landlord and the tenant. The rights and the duties expected from both sides is made clear and is for all parties to see. Who is responsible for paying waste disposal charges? Introduced from the beginning of 2019 there are 3 separate charges for waste disposal in Guernsey. As in the past, the Parishes organise waste and recycling kerbside collections and the Parish rates bill contains an element for these collections. This bill is the responsibility of the owner/landlord but he can pass on the cost to his occupier/tenant at his discretion. This bill comes from Guernsey Waste (part of the States of Guernsey) and is the responsibility of the owner/landlord but he can pass on the cost to his occupier/tenant at his discretion. This is the responsibility of the occupier/tenant, who must put a sticker on each black sack of general waste. The putting out of waste and recycling on the correct days is the responsibility of the occupier/tenant. For any problems contact Guernsey waste (see your food waste bin, or glass bag) who will assist or point you in the right direction.